These were some of the comments on my Facebook page when I posted pictures of the brand new MSC Seaside from when I attended its public debut in Miami last December. Now, I get that not everyone likes a ship this big and it’s certainly not my usual choice when it comes to cruising, but I was intrigued with this vessel, particularly as it was the first in a brand new class of advanced technology ship from this ebullient Italian family-owned shipping and cruise line. MSC Seaside brings to 14, the number of modern (and modernised) cruise ships in the world’s largest privately-owned fleet. 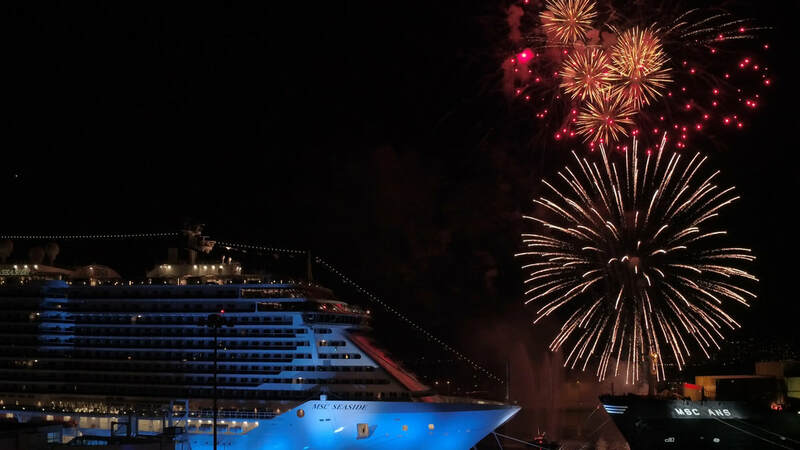 She is the first in a new class of vessel and part of MSC Cruises’ rapid expansion plans that include the 5714-passenger MSC Meraviglia, which entered service in June last year and the forthcoming 200,000GRT, LNG-powered World Class, due on the water beginning 2022. MSC Cruises certainly adheres to the motto ‘big is beautiful’ with more and bigger launches planned over the next few years. Her sister ship, MSC Seaview, is due this year and will embark on Mediterranean cruises. First off, there is no getting away from the size of the 323m long, 72m high MSC Seaside. She will carry more than 5000 guests in luxury, feed them in 11 separate dining venues, relax them in 20 bars and lounges, cool them in 6 pools and entertain them in a 1000-seat theatre. But as if prepared for our scrutiny, MSC is at the forefront when it comes to new, environmentally-friendly technology. Power-saving LED lighting is widely used throughout the ship. All waste water is filtered and recycled, resulting in zero effluent discharge to the sea. Scrubbers are installed to neutralise the most harmful of exhaust gas emissions. It could be argued that despite her size, the environmental impact per guest is less than many of the current (regular sized) cruise ships with older, less sophisticated technology. Apart from her sheer size, the polarising factor seems to be the radical new prototype design of her superstructure which is intended to provide an atmosphere reminiscent of the famous Miami Beach condos. MSC Seaside will be based year-round in Miami, hence her descriptive tagline “the ship that follows the sun” and her eye-popping appearance. It’s the aft superstructure in particular where twin towers rise above a large pool deck that is just a few floors above the waterline and is part of a low-level promenade that encircles the ship. 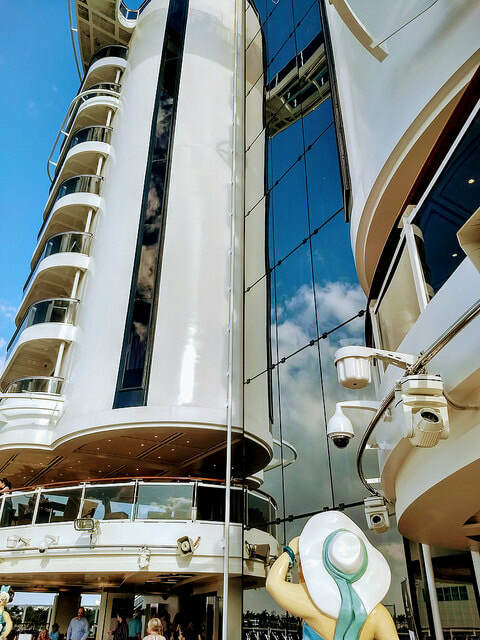 Two glass elevators provide access between that Deck 7 area and the other main ‘Aqua Park’ pool area way up on Deck 16. Two glass-floored catwalks and a 40m high ‘Bridge of Sighs’ give guests a truly breathtaking view of the ocean. 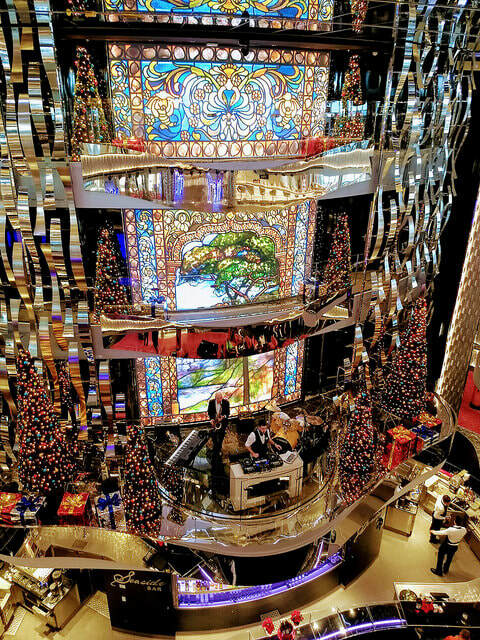 The ship’s design also features a wide promenade lined with bars and restaurants on Deck 8, that's likewise designed to put people closer to the sea. 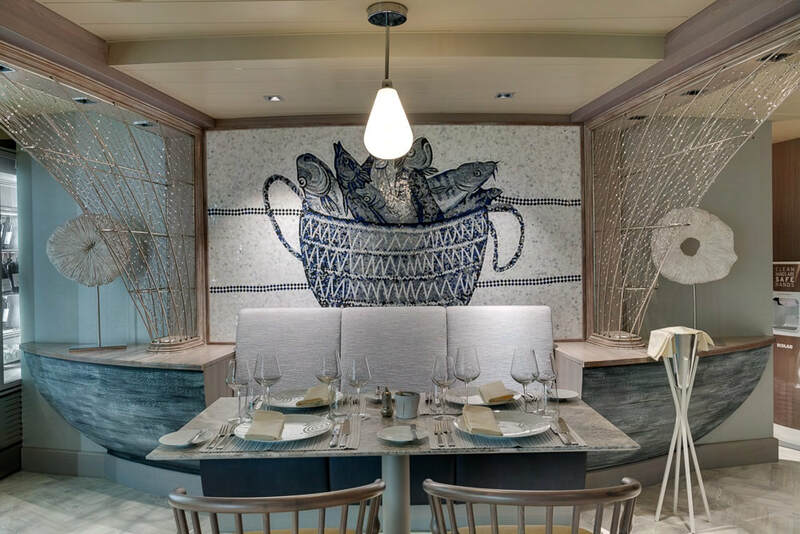 MSC Seaside will offer the brand’s distinctive entertainment program with innovative, high production value shows as well as a host of new international dining concepts, including the signature Asian Market Kitchen from renowned Pan-Asian chef Roy Yamaguchi. Other foodie highlights include a fancy seafood restaurant, Ocean Cay, a good ol’ American-style steakhouse, the Butcher’s Cut and a chic French bistro, La Bohème. Guests can count on outstanding facilities for families such as the Lego-themed areas for kids up to 12. Teens can enjoy a wide array of electronic and arcade-style games including a full-scale Formula 1 simulator - that they may have to jostle with eager adults to drive. 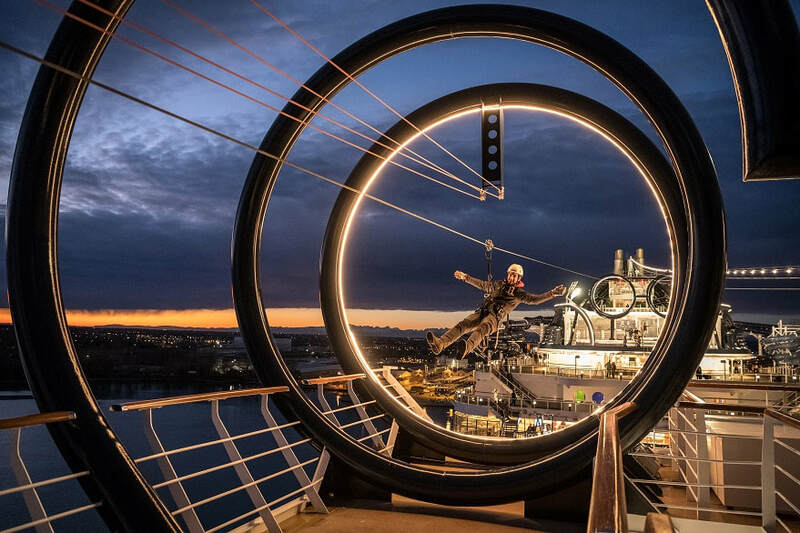 There’s a twin cable zipline across the top deck that is the longest aboard any ship. MSC Seaside includes the exclusive MSC Yacht Club elevated to a whole new level. The Yacht Club concept has become one of the benchmark luxury offerings throughout the cruise industry and creates a serene ‘members only’ enclave within the ship with dedicated facilities such as spa, sundeck, restaurant, bar and superb suites with private whirlpool baths. MSC Seaside will sail from a newly expanded and dedicated terminal in Miami on 7- and 14-night Itineraries that will naturally be Caribbean in nature. Ports of call include Nassau in the Bahamas, Cozumel in Mexico, the Cayman Islands, San Juan in Puerto Rico and St Maarten among others. Cruising is fast becoming one of the most popular forms of leisure travel, not just in Australia, but all over the world. 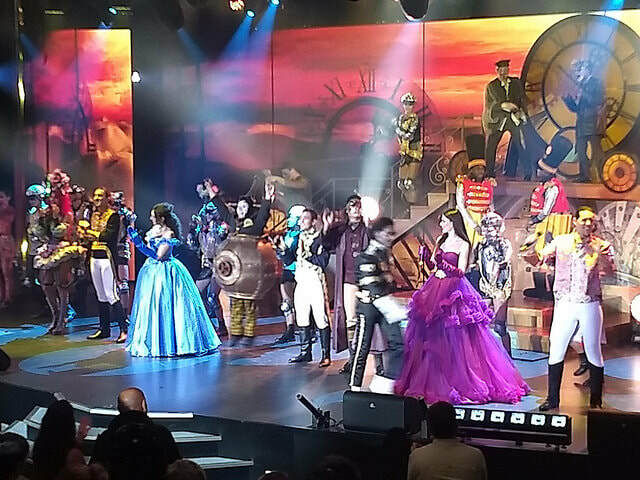 The choice is yours whether big is your bag when it comes to ship choice, but you can be assured that these new wave of mega-liners from MSC Cruises will provide onboard activities and entertainment like never before at prices everyone can afford and with a firm acknowledgement that with such size comes responsibility for the environment.